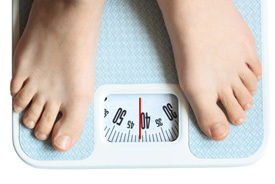 There is an epidemic – people can’t lose weight, they seem to gain no matter how hard they try. Some have given up! Dr. Miller admits to trying most regimens himself including Weight Watchers, Nutrisystem. Atkins, South Beach among others. He, like many others felt “stuck”. What we find is that it’s not just about counting calories, doing some exercise and the weight just falling off. With the toxins and so called “obesogens” that shift our metabolism to retain weight, the puzzle is complex and different for each person. We look for what is holding you back and find answers, naturally. We can create a combination customized for you and above all we can keep it interesting to help you reach your goals! Who should you listen to? Dr. Miller and his wife attend nutritional seminars regularly to stay current on the latest information. The recommendations they make are relevant, research verified where possible and use natural solutions. Our aim is to guide you to a food style and a lifestyle that works for you……and keep the weight off. Nulean®: For detoxification and weight loss. Nulean helps dissolve fat naturally with a scientifically developed combination of nutrients targeted to cleanse the body of impurities, while kick-starting you back to a faster, more youthful metabolism. Visit Nulean for more information about the Nulean weight loss program. Standard Process®: Offers 10 and 21 day detoxification and weight loss programs to complement their lines of Whole Food (vs. synthetic) supplements. Certification in Nutritional Counseling and frequent seminars keeps our office current with the latest information on nutrition, supplementation and how to best help our patients. Dr. Miller “walks his nutrition talk”. He has lost over 80lbs in the last 18 months using the methods recommended to patients. He knows and understands the challenges physically and emotionally.